Arcam's flagship AV receiver is one of the finest solutions we've ever heard for music and movies, delivering incredible sound quality with 5.1 speaker packages and hi-fi speakers alike. 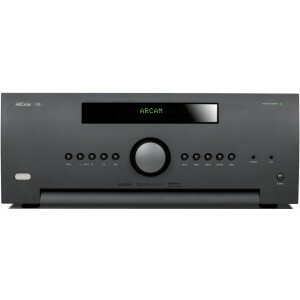 Arcam AVR850 AV receiver is a flagship model, and offers incredible sound quality with music and home cinema sources. This model sits above the AVR390 and AVR550, and delivers two channel hi-fi audio performance similar to the Arcam A49 with all the benefits of multi-channel audio. 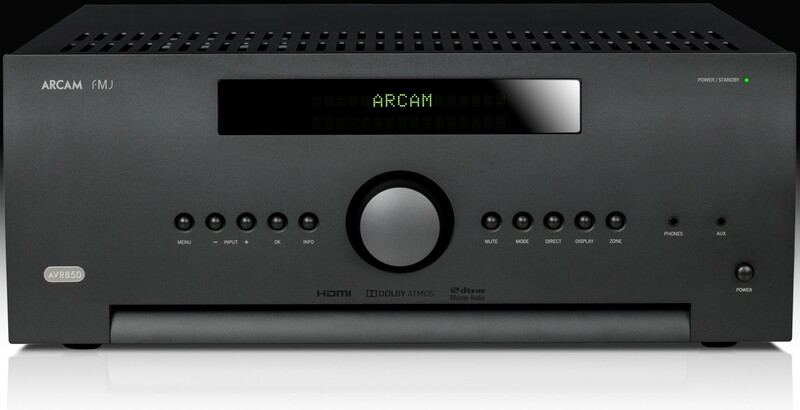 If you want great sounding home cinema, but two channel sound quality is important to you, Arcam has made a reputation of bridging the gap between AV and hi-fi with this excellent sounding AV receiver. Both video and audio stages are designed to embrace both current and upcoming technologies. That's why the AVR850 features built-in HDMI2.0a with HDCP2.2 4K “Ultra HD” and 3D video capability. An internal tuner provides a fully integrated FM / DAB / DAB+ radio solution. DAB+ is only available in appropriate markets. Worldwide access to radio stations is provided through the network connection, which interfaces to UPnP audio servers. The USB port supports memory devices and control is possible via Ethernet. This enables the AV receiver to fully integrate with whole house control systems. RS232, 12V triggers and standard IR control are also included. Dirac Live is the very latest room correcting development from Dirac Research, incorporated in the AVR850 AV receiver to further enhance performance and ensure you enjoy your system to its full potential. Dirac Live allows you to fine tune the acoustic output of the system to any room situation giving the listener the best possible experience in their own home. Any unwanted bloom or sharpness is reduced automatically for the most natural and airy sound reproduction. 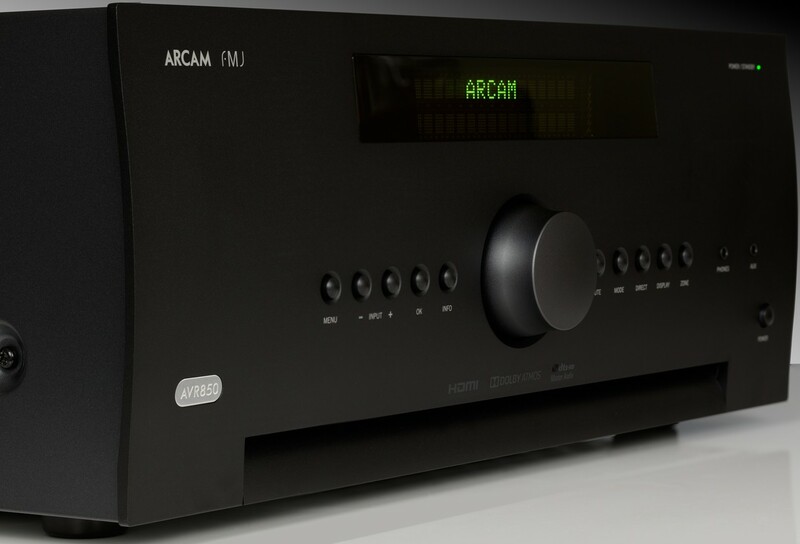 Powered by Arcam’s legendary amplifier technology, the Arcam AVR850 delivers fantastic music reproduction from all music sources in addition to a cutting edge surround sound cinema performance. Spotify Connect is also enabled to allow streaming plus unlimited radio stations from across the globe. Delivering exquisite sound quality far above competing receivers, this AVR is a true audiophile component by any measure. Effortless high resolution surround sound or two channel music is delivered with stunning realism bringing life to everything from intense blockbusters to your favourite concerts. The captivating Dolby Atmos sound places and moves audio anywhere in the room including overhead, bringing fully immersive entertainment to its audience. 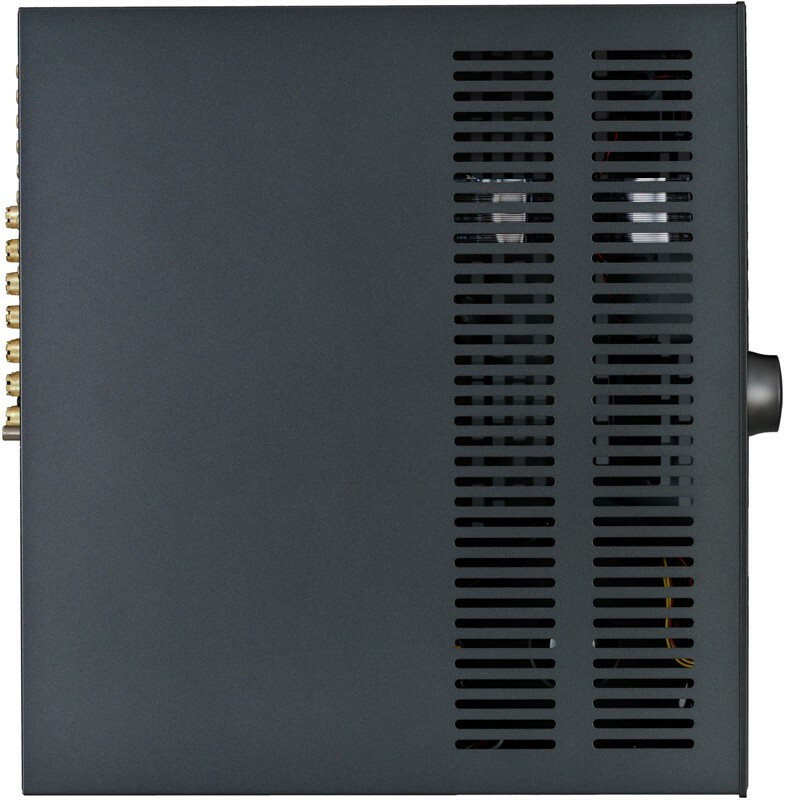 The full impact is delivered in music, movies, television shows and even video games making the AVR850 the central hub of an ultra high performance home entertainment system. Previously owned avr750 and purchased avr850. WOW! With Dirac the improvement is apparent and amazing. Huge improvement over avr750.